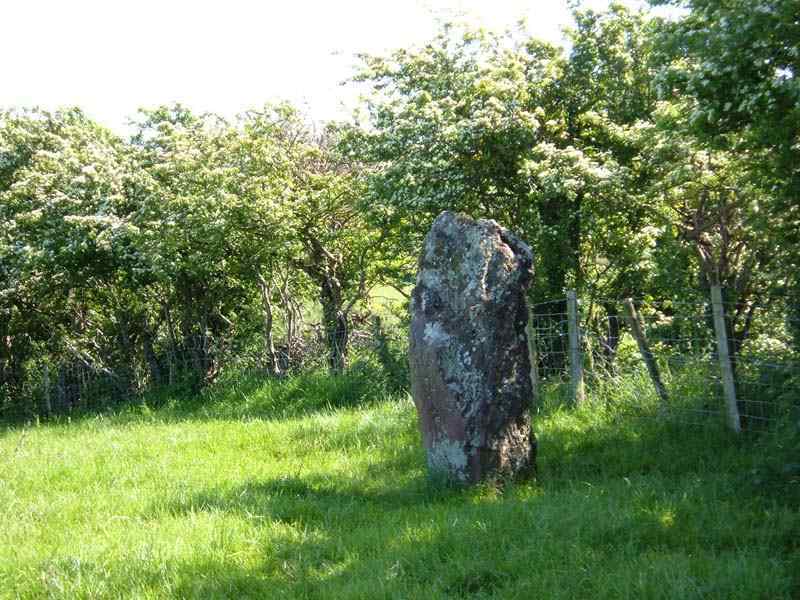 Carreg Lleidr (Robbers Stone) Standing Stone on Anglesey. 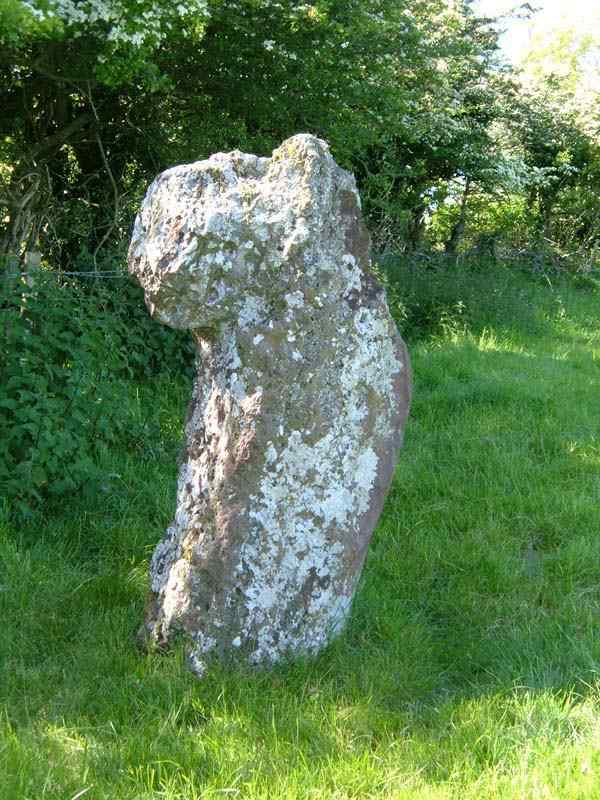 Carreg Lleidr (Robber's Stone) SH447843. 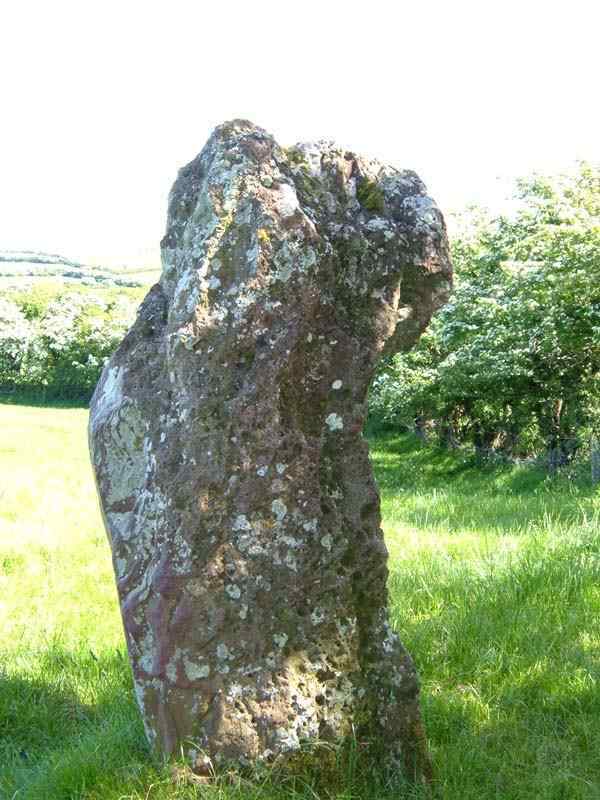 Located in a field not far from the village of Llandyfrydog on Anglesey. 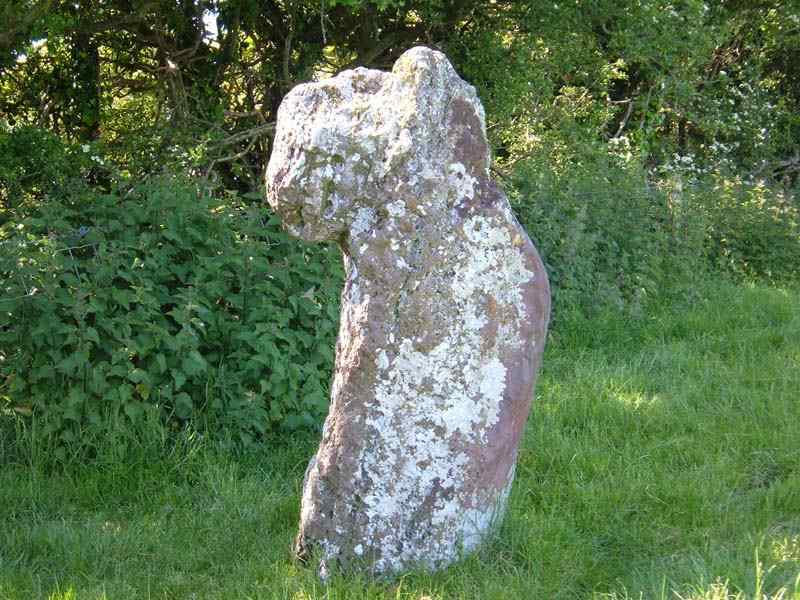 A standing stone to which several myths are attributed. 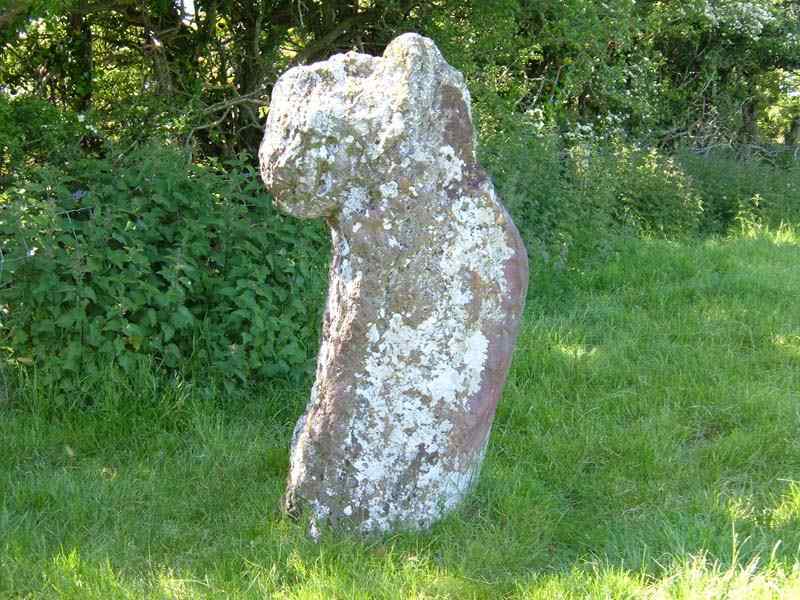 The most popular - because of the shape of the stone - is that a man robbed a church. Throwing his bag of stolen property - including the church bible - over his shoulder, during his escape he was turned to stone. 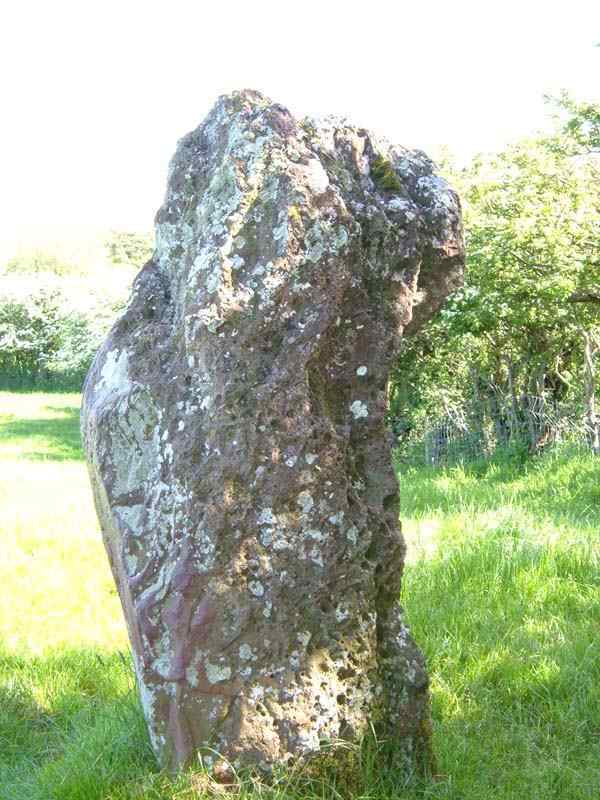 The stone does look amazingly like it might if the story was true. 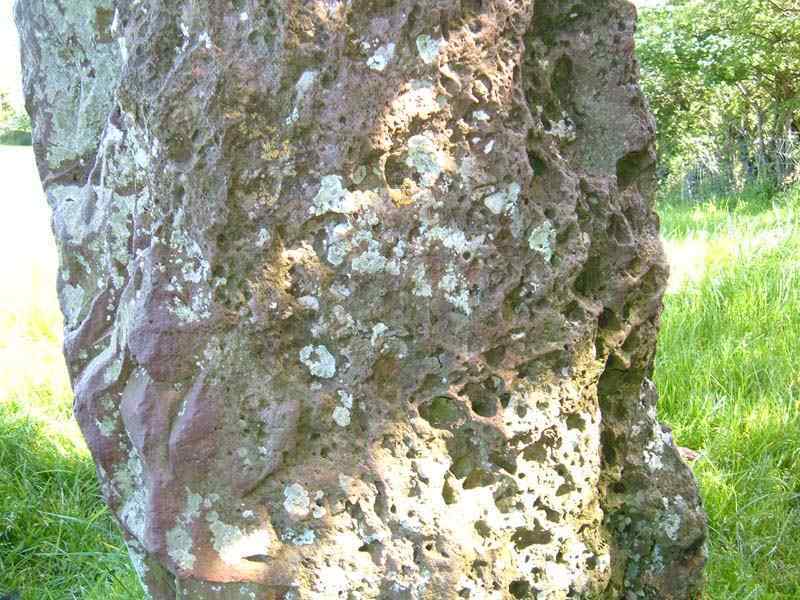 The stone is red - common in the area - and is as porous as Dutch cheese. I could not find it via the road, so asked at the farm. I was directed to it and met by some rather unfriendly cows. When I did find it I realised if I had looked harder from the road I would have found a hole in the hedge through which it was easily viewed.